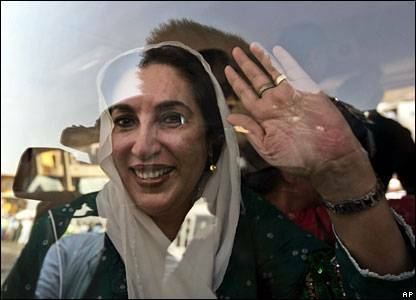 As Ex-PM Benazir Bhutto returns to Pakistan after a 8 year hiatus, the city of Karachi is racked by what seems are suicide bombers. Metroblogging city blogs from Karachi and Lahore have live, on the ground coverage. It is ironic that at a time when democracy seems to have triumphed once, with the return of Bhutto, terrorism rears its ugly head. Thoughts and prayers go out to the people of Karachi.